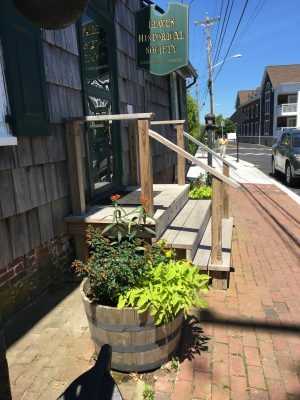 Built in 1765, the Cannonball House is an iconic landmark for Lewes and is the home of the Lewes Historical Society’s maritime museum. It is called the Cannonball House because of the wide array of scars it shows, including an imbedded cannonball in its foundation, from the infamous Bombardment of Lewes. 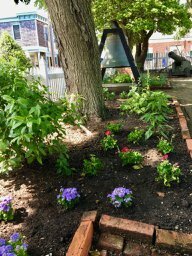 In early 2016 the Lewes Historical Society asked Lewes In Bloom to partner with them to redo the courtyard space behind the Cannonball House (c1765). 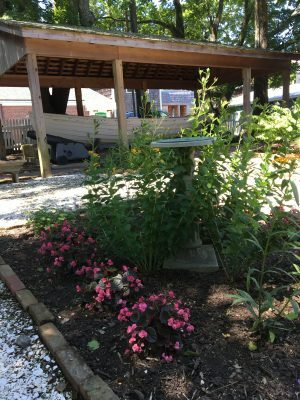 The Patrons who developed the garden were inspired by Colonial Williamsburg and other historic gardens. The garden was laid out with a central bed and four corner beds. 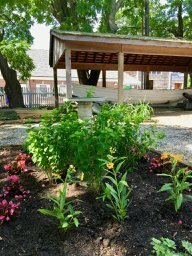 There are pathways and surrounding garden beds. 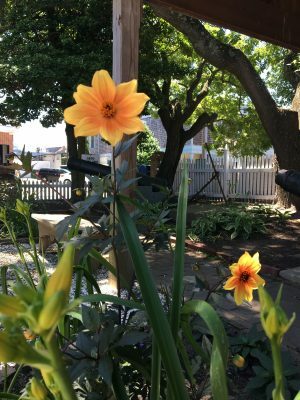 The Patrons work to use flowers and bulbs that a woman living in the house in 1765 might have used. The challenge has been the shadiness of the area so the garden is a work in progress. Our hope is that it will mature into a beautiful garden for all who gather there. 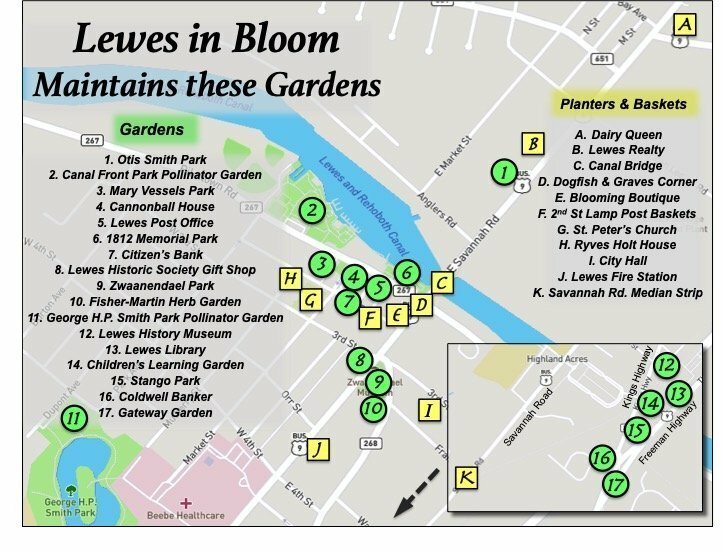 The mission of Lewes in Bloom (LIB) is to promote the beautification and maintenance of Historic Lewes and the community at large. 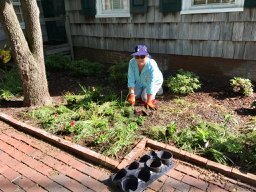 By doing so, historical preservation, urban forestry, environmental awareness and wide ranging community involvement, in addition to floral displays and landscaping are enhanced for everyone’s enjoyment.